Congratulations to my pre-college student, Gabby Koepke, for winning 1st Prize in the Duluth Superior Symphony Orchestra Young Artist Competition! Gabby won this concerto competition with her polished performance of the 1st movement of Mendelssohn’s Piano Concerto no. 1, op. 25. Way to go! The DSSO Young Artist Competition is an annual event for music students 18 years old or younger living in Minnesota, Wisconsin, or Michigan’s Upper Peninsula. All instruments compete together at Weber Hall (University of Minnesota Duluth). The 2018-19 year is off to a great start! Last weekend I was privileged to win first prize in the 2nd annual Beardsley Piano Prize Competition, a relatively new piano competition in Elkhart, Indiana. 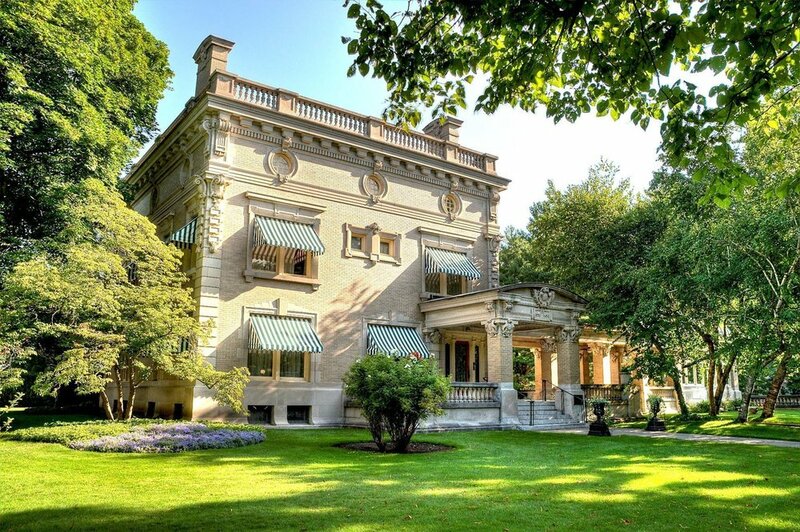 The competition took place in a gorgeous and historic venue, the Ruthmere mansion. The competition came with a cash prize and a return performance to take place at Ruthmere on October 11th, at 7:00pm. This concert will also feature the Norell Piano Duo, Luke Norell and Mary Rose Norell. Thank you to all who helped sponsor the competition, to those who helped run the competition day, and to the three judges. Summer has been full of great musical experiences! I have been able to enjoy a number of teaching and performance highlights dotted throughout the summer, in addition to having the joy of traveling to a number of friends' weddings. And August...vacation to rest for the upcoming school year! A little upload from this past year, one take with no edits. Enjoy the following repertoire! 7:21 Liszt, Légende no. 2 "St. François de Paule marchant sur les flots"
15:38 Liszt, Transcendental étude no. 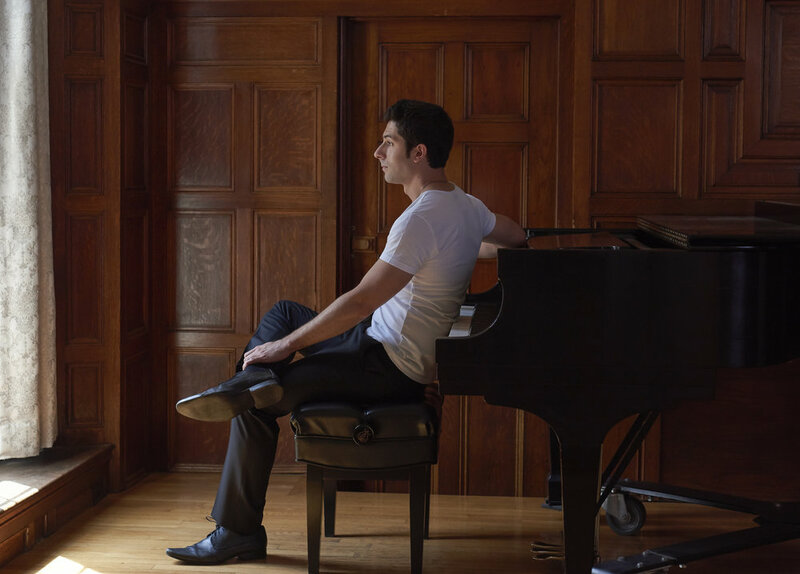 12 "Chasse-neige"
Scarlatti Now has been named the winner of the 2017-2018 American Prize (solo piano, collegiate division)! 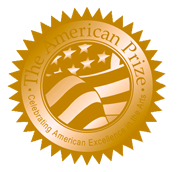 The American Prize is an annual, national competition that assesses audio recordings in a variety of categories. Winners receive a cash prize and publicity for their recordings. You can read about the 2017-2018 competition and winners here. American Record Guide: "I love, love, love the Scarlatti." These are some highlights of positive press that my debut recording, Scarlatti Now, has been receiving over the past few months! Reviews have appeared on the web or in print from The WholeNote, American Record Guide, and Audiophile Audition, with a forthcoming review in International Piano. Needless to say, I am deeply gratified to read critics' thoughts and impressions of my disc in print! Now up: three new publicity photos from St. Louis photographer Randall Kahn. The warmth of the dark wood paneling and some natural sunlight came together to create a special setting. Special thanks to Webster University for letting us in to their beautiful recital hall for the photo shoot! I am excited to say that I have accepted a job offer from The College of St. Scholastica at the rank of Assistant Professor of Music! I will be moving up to Duluth, Minnesota in August to begin this full-time, tenure track position. My courses for the moment will include applied lessons in piano, class piano, and music theory. I'm looking forward to starting this new chapter of my life with the great community there! The College of St. Scholastica was founded in 1912 as a Benedictine college for women, and became coeducational in 1969. To this day, Benedictine nuns still have a presence on campus. Service to others and one's community remains a bedrock of the Benedictine values. St. Scholastica lived in the sixth-century Roman Empire and was the twin sister of St. Benedict (for whom the order is named). While Benedict founded the male Benedictine monastic order, Scholastica founded its female counterpart. That extra droopy hood represents a whole lot of time and effort! It's official! After three tough years at the University of Michigan, I graduated with my DMA (Doctor of Musical Arts) in Piano Performance this past weekend. I am so thankful for the help, guidance, and comaraderie of all my teachers and colleagues in Ann Arbor! Here are some photos from the celebration, as well as a video excerpt - the second movement from Franz Schubert's glorious final Piano Sonata, D. 960 - from my final dissertation recital in early April. The doctor is now seeing patients! With the proud parents outside Hill Auditorium. So thankful that they could come up to Ann Arbor to celebrate! I am pleased to announce that I have just been awarded one of two 2017 Clara Wells Fellowships through the American Matthay Association! The two Clara Wells Fellows (one high school, one collegiate) will be in residence during the Matthay Piano Festival, June 14-17th in Tempe, Arizona. I am looking forward to participating in the festival performances, deepening my understanding of Tobias Matthay's pedagogical works, and meeting the members of the association. In case you missed my interview with Kathy Lawton Brown last week on 107.3 (The Radio Arts Foundation) in St. Louis, you can listen to the whole thing right here. We had a great time talking and getting to know each other - I am so appreciative to the radio station for having me! 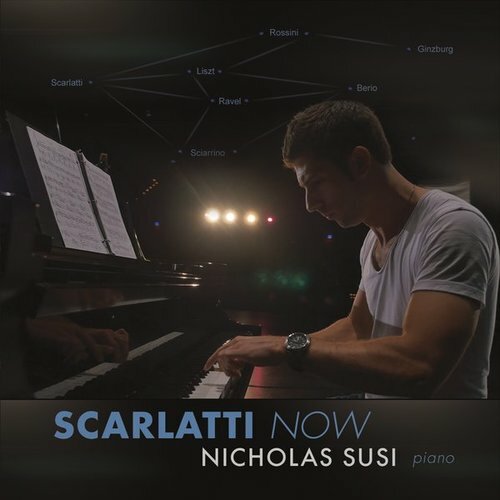 The day has finally come - my debut CD "Scarlatti Now" has been released! The disc is available for purchase in the website's new online store. Check out this performance video for a preview of the disc. The CD centers around the music of Domenico Scarlatti, and this playful work (Sonata in F major, K. 379) is but one of several pieces by him that I recorded. Enjoy! As many friends, family, and colleagues have already heard, I am releasing my debut CD within the next month or two! This was a long-term project that has grown with me for nearly a year now. Through all of the preliminary planning, grant writing, practicing, recording, graphic design, publicity materials, and liner note writing, it will be a relief to have the finished product in hand! The concept of the disc is an eclectic mixing of old and new music. I wanted to focus the disc on the sonatas of Baroque keyboard composer Domenico Scarlatti, but without issuing the standard "all-Scarlatti" disc, of which there are already so many very good examples. Instead I decided to trace his keyboard language through later generations of Italianate works (including transcriptions of Rossini and works by Liszt, Ravel, Berio, and Sciarrino), with the older works mixing freely with the newer works. Huge thanks to the incomparable sound engineer, Colin Mahoney, and to all who have pre-ordered the CD. A copy will be coming your way soon! 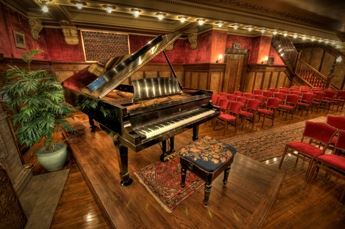 The beautiful First Baptist Church in New Bern, NC, which houses an impressive Steinway! My recital for NCFMC took place on June 3rd, 2016. The beginning of summer saw much traveling and performing from me. Performances for statewide conventions for the National Federation of Music Clubs took me to Grand Rapids, MI and to the charming town of New Bern, NC, while NFMC's national convention took place in Tulsa, OK.
With NFMC members following my recital in Tulsa. From left to right: Mark Vile, Nicholas Susi, Melanie Perez, and Irene Vile. Speaking about Domenico Scarlatti in Tulsa, OK.
Wedged in between these was an inspirational week of teaching and performing with friends at the Taneycomo Festival Orchestra (Branson, MO), where I gave two masterclasses and performed the Grieg Concerto. Larkin Sanders, CEO of the Taneycomo Festival Orchestra, is doing great work for that two-week event. It is always a pleasure to play for the Branson public; they are so warm and appreciative! March and April were busy months for me, with performances from the Tavern of Fine Arts (St. Louis, MO) to the Musical Art Society (Lancaster, PA), and finally two performances at the University of Michigan (Ann Arbor, MI) as I finish out the semester at UM. Here are some photos from my recent recitals! I had so much fun last month performing and teaching at Belhaven University in Jackson, Mississippi - What a great facility and group of students! Huge thanks to Dean Steve Sachs for hosting me and to the Mississippi Federation of Music Clubs for attending the event! I am excited to announce a new performance added to the calendar at the Tavern of Fine Arts in St. Louis, MO. 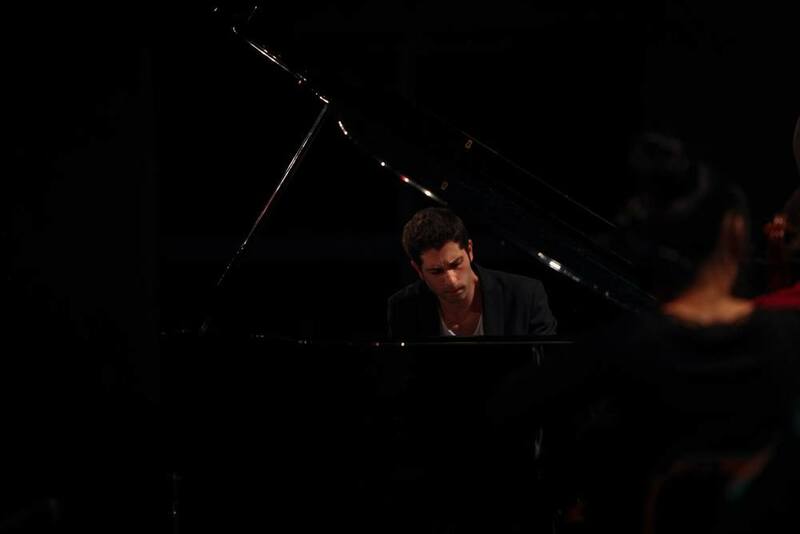 The program will take place on March 3rd, 2016 at 8:00pm and features the music of Beethoven, Liszt, and Ravel. Seating fills up very quickly, so come early to grab a table. See you then!